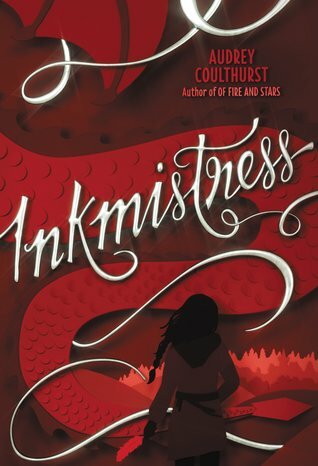 When I read Inkmistress I didn’t even know it was a prequel to Of Fire and Stars. It also didn’t matter because they don’t seem to have much in common. I give Inkmistress by Audrey Coulthurst two out of five hearts because I didn’t care for it. It felt like a lose story, as if Audrey just pulled elements out of nowhere and put them into the book. I liked Asra’s power, it was interesting and full of things that would make her flawed. But it had barely anything to do with the story. Also I thought that Asra was a flat character, not much development and except for her power not flawed. Audrey’s writing was too descriptive and boring. It made the story feel slow and I kept checking how much I still had to read, looking forward to the moment I was done. I really didn’t care for the story because I couldn’t connect to the characters. This entry was posted in Book Review and tagged Audrey Coulthurst, Book Review, Drama, Fantasy, LGBT. Bookmark the permalink.